Are you frustrated and looking for a solid way to grow your business? If you are the owner of a tree service business, you know how much time and manpower it takes to cut down just one tree - and when you get larger projects after a storm surge or land clearing for new development, operations become more dangerous and enough skilled workers are harder to find. Work Harder or Work Smarter! Well, there's finally a new way of doing business in the tree cutting industry. 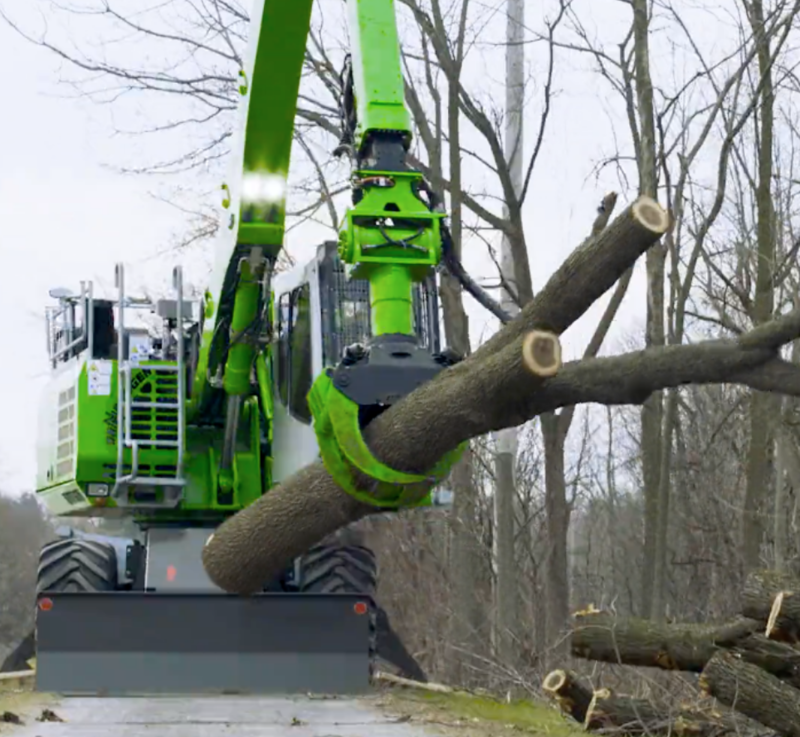 A smart method that requires only one skilled equipment operator to cut, handle, and stack trees 10 times faster than traditional methods - the Sennebogen 718 tree-handler. The average cost for cutting down a tree is between $1800-$2000. Using traditional methods, and when done safely and properly, it may take upwards of half a day and an entire crew to cut a single large tree. If on a good day, your crew can cut down 2 trees - you can bring in between $3600 and $4000. With today's technology, this looks like a good day's work! On average, the 718 can cut and stack 6 trees per hour. That equates to $10,800 to $12,000 per hour of work! This example, which uses a conservative 8 hour work day (often times it’s more), means you’re looking at $86,400 to $96,000 in earnings per day. Is it worth the $300-600/day investment in the 718 to make $86,400 - $96,000 per day ? For 30 day’s worth of work - that would yield $2,592,000 to $2,880,000! This is real income allowing your business to take on major projects with a reduced work crew and less safety concerns. Imagine the revenue that you can generate with one machine in 1 year! Consider how a crane and ball can demolish an entire structure in a few hours, using one machine and one operator. That same type of productivity gain is now available for the tree cutting and removal industry - the Sennebogen 718. Now, as with all things, there will be a learning curve to operating this equipment - but if you already operate other heavy equipment - this should be a relatively smooth transition and a far more profitable one. When you make the investment of time and energy to learn how to operate the 718 tree handling equipment, you can expect BIG returns in little time and well into the future - not just with bigger contracts and more revenue, but also with increased safety and reduced liability benefits. Today, there is no longer a need to put tree workers in dangerous work environments and at risk of injury or worse. The 718 allows an operator to safety and comfortably work from inside an air-conditioned cabin (or heated, during colder seasons) for hours with no fatigue and with a full 360 degree view. 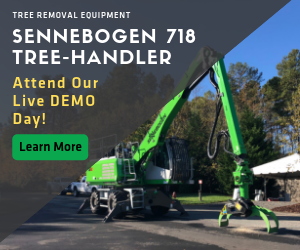 If you'd like to see this equipment in action and discover the proven ways the 718 can boost your income - arrange a visit during one of our upcoming "live" demo days or view the 718 in action on our Sennebogen NA website.